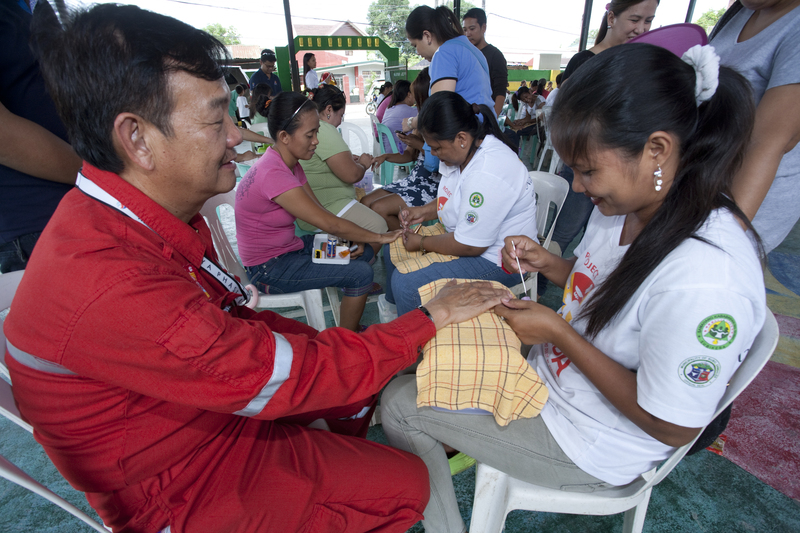 The Malampaya Deep Water Gas-to-Power Project Phase 3 (MP3) has launched skills training programs in Subic for important sectors in society: the women, traffic enforcers and public utility vehicle drivers, particularly the tricycle drivers. 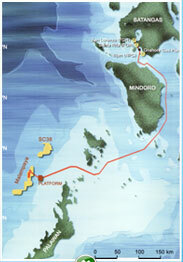 Subic is the site of Keppel Subic Shipyard and is where the MP3 Depletion Compression Platform is being constructed. A Subic Social Baseline Study commissioned by the Shell Philippines Exploration, B.V. (SPEX) MP3 Project team was able to define the social environment of the Project and assisted in identifying social investment programs that would benefit nearby communities as well as cater best to the Project’s needs. The Malampaya Phase 3 (MP3) Project, through the Malampaya Foundation, Inc. (MFI) launched a social investment program to promote road safety called Project KALSADA or ‘Kaligtasan sa Daan’ to address the problem of rampant road accidents, which is the fourth leading cause of death in the Philippines according to the Department of Health. Moreover, the MP3 Project team saw the need for a program that will teach road safety to targeted audience in the communities. 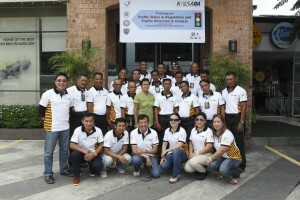 This program will help mitigate risks and possible accidents that may occur in the congested roads of Subic brought about by increased vehicular traffic. 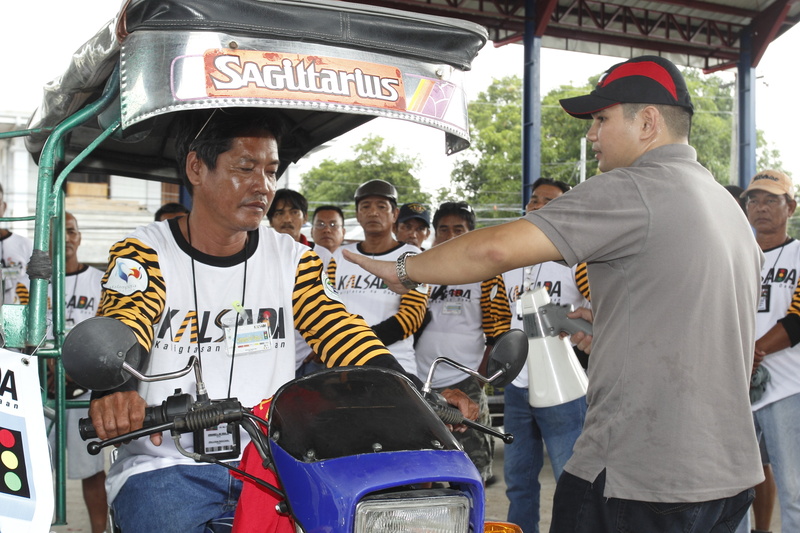 Recognizing that the tricycle is a major transportation mode in the area, KALSADA’s road safety workshops were particularly geared for tricycle drivers—training them on defensive driving and teaching safer driving behaviours and practices. Malampaya conducts the KALSADA workshops in partnership with the Land Transportation Office-Law Enforcement Traffic Adjudication System – Olongapo and the Provincial Highway Patrol Group – Zambales. The Subic Social Baseline Study commissioned by the MP3 Project team showed that there is a need to enhance livelihood opportunities for women, hence Project GANDA, or ‘Galing at Negosyo Dulot ay Asenso’ was implemented. This is a capacity-building program for women that will empower them to take a decisive role in uplifting the economic status of their community. 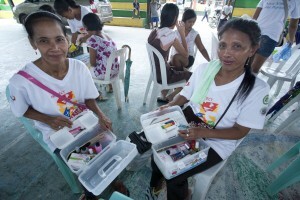 “This program is certainly a big help to making women in the communities more productive and helping improve the family income,” said Subiceña President Eloisa Khonghun. “The program hopes to impart knowledge and tools, that, together with the individual’s perseverance, will help provide for a sustainable means of making a living and promote self-sufficiency,” affirmed Karen Agabin, MFI Executive Director. Project KALSADA and GANDA are part of the Malampaya Deep Water Gas-to-Power Project’s goal to fuel inclusive growth besides supplying the country’s energy needs with natural gas – a cleaner source of power. The programs are funded by Malampaya Phases 2 and 3 (MP 2 & 3), the Gas Project’s next stages of development. MP2 and 3 will sustain the level of gas production from the Malampaya gas field located in northwest Palawan’s deepwater reservoir. The consortium led by Shell Philippines Exploration, B.V. (SPEX) under Service Contract 38 uses innovative deepwater technology from the Shell Group’s worldwide project expertise on gas technology, to safely and efficiently recover natural gas for gas production.